How the military went from having childcare in Quonset huts and stables to being the “premier” system — and why don’t more people study it? In a recent Hechinger Report series on childcare in Mississippi, writers Jackie Mader and Sarah Butrymowicz asked what it would take for that state to transform its childcare into a top system. They pointed to the remaking of the U.S. military childcare system as an example of such a turnaround. The military’s childcare revamp is a Cinderella story that more people should study. It is now known as the premier program in the nation. 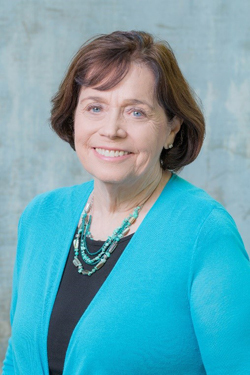 “I hold up military childcare as the most exemplary federally funded effort in early childhood education in every discussion I have with colleagues about what we should see in those programs,” said Dr. Shirley Svestka, senior evaluator of the U.S. General Accounting Office, in 1992. As one of the founding military early-childhood professionals, I led the U.S. Army Child Development Services System for 31 years. I arrived in 1980 to centers located in stables, Quonset huts, and asbestos-filled, pre-WW II wooden buildings with lead-based paint. Annual staff turnover was often 300 percent. Care was custodial at best, with a demoralized workforce paid less than attendants caring for the army mascot (a mule), limited parent access and engagement, and numerous health, safety and child well-being violations documented by the GAO and the DoD inspector general. Even worse, a horrifying large-scale child sexual abuse scandal occurred in the mid ’80s. By 1992, DoD and the military services had implemented the Military Childcare Act of 1989 and rules were in place that created a premier childcare system that has received numerous positive citations and kudos from both the government and the private sector. How did the military achieve this transformation? It started with intent. That intent was and I believe remains to help working families by reducing the conflict between parental responsibilities and work force productivity (military readiness and retention) and reduce stress on families through a unique policy and financing infrastructure. Universal access for all children of active duty military and DoD civilians, regardless of family socio-economic status. A single-entry system of multiple on- and off-base full day, part day/shift and hourly year-round care options for children four weeks old to 12 years old. Adoption of nationally recognized standards, states best practices and regulatory parameters, and strict enforcement of standards through annual unannounced internal and external assessments with stringent accountability compliance measures. Staff credentialing and accreditation by national professional bodies; competitive staff salaries and benefits; on-site staff to train and coach staff, and strong passionate site and headquarters leaders with early learning and administrative competencies, parent engagement through open access to child classrooms and local parent advisory councils. Support from military leaders at all levels. Reluctant at first, these leaders soon came to value quality childcare as a “force multiplier” that positively impacted military capability and supported working families. A familiar army refrain summed it up this way: ”Recruit the soldier; retain the family.” Spouses influence the re-enlistment decision and the childcare program is viewed as vital for spouse employment and their children’s well being. We then identified resources needed to bring and sustain childcare program quality to scale. The resource component established a cost sharing model (minimum 50:50 match) and between public investment and families. This severed the traditional link between staff compensation and parent fees, determined unit costs for each child age group “classroom space” and embedded quality criteria within the unit cost compared with a separate “quality set-aside” as used in CCDBG. All families paid “fair share” fees based on total family income, and received discounted tuition rates that generally represented at least a 20 percent advantage over local market rates. Unlike private sector mores, infant care rates were no higher than rates for preschool children. Staff compensation competitive with the competing labor pool, e.g., public school leaders, teachers and aides included benefits for regularly scheduled employees (70 percent of the workforce). Entry level staff received automatic salary increases every six months linked to successful completion of on-the-job training within their first 18 months of employment. This financing model closed gaps between parent fees and operational costs with public investment sources (defense operations and maintenance funds and revenue generated by parent fees and local military business operations). These policy and cost-sharing financing strategies formed a performance-based business plan. Consistent levels of quality are achieved and sustained through rigorous performance metrics and stringent oversight. The military childcare system was transformed to provide the right number of child spaces, in the right places at the right time for children and working parents and contribute to the security of the nation through increased military readiness not hindered by lost duty time due to a lack of childcare. The turnaround has produced a system of DoD-certified (equivalent to state licensing) and nationally accredited childcare centers, staffed through dual career ladders with appropriate compensation, benefits and training for paraprofessional and professional workforces that has been sustained for 25 years. The military’s childcare turnaround can be used to help foundering childcare systems improve. More people should study it. We’re still hiding in plain sight. M.-A. Lucas served as executive director of the United States Army Child, Youth & School Services Program from 1980 to 2011. 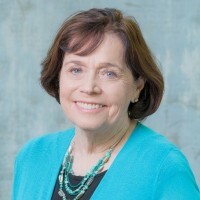 She has also served as executive Early Care and Education Consortium from 2013-2015 and faculty member in several graduate and undergraduate early childhood programs. Can taking pre-K classrooms outdoors end education inequity for our youngest learners?